It's always "wabbit" season now that the best Looney tunes Cartoons from the Warner Bros. vault are available in this wild two-disc collection! Reunite with Bugs Bunny, Elmer Fudd, Porky Pig, Tweety Bird, Sylvester, Daffy Duck and all the Looney tunes gang in an animated assortment of hits that have tickled the funny bones of cartoon lovers for generations. 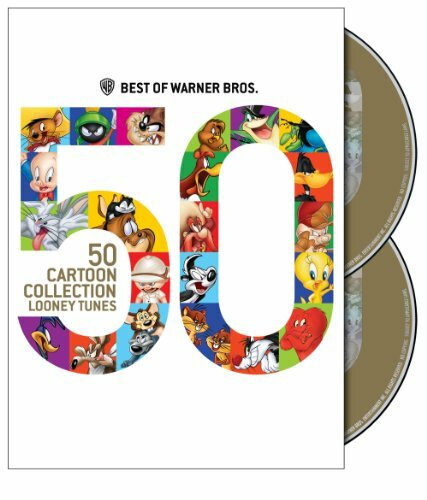 There's something for everyone in this must-own collection of 50 Looney tunes classics that helped contribute to 90years of Warner Bros. cartoon magic. It's a timeless anthology for fans of all ages that will have you laughing long before "Tha-That-That's All, Folds!"